The smallest locker in the Intro series: just 620 mm wide with 6 compartments. 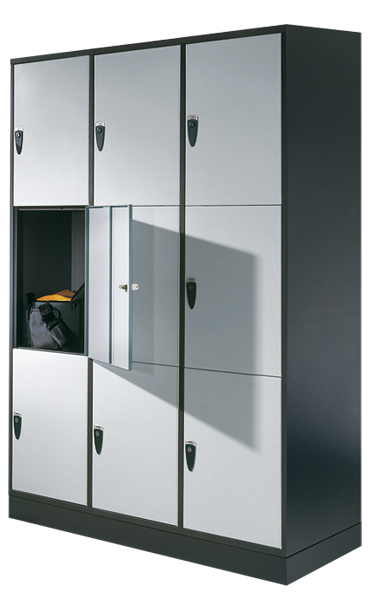 Another variation on Intro: 920 mm wide locker with 9 compartments, compartment width 300 mm. 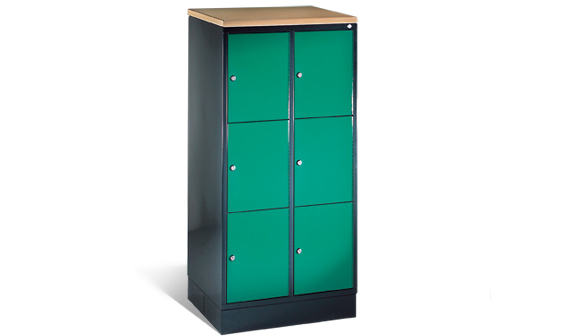 The INTRO series of assembled box lockers has a long-lasting structure made of steel. It offers 6 compartment heights, 2 compartment widths, 2 compartment depths based on specific needs. It is also possible to use it as an additional high locker. 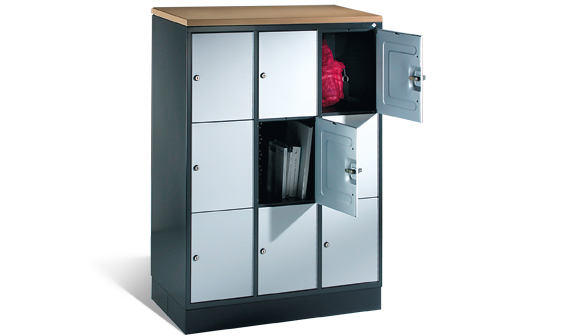 Each locker has an appealing base in black gray with a height of 100mm. Both single-walled and double-walled doors are available. All doors feature 2 keys and a cylinder lock. Options for other lock types are available, example coin-operated locks. Every door is right hinged and mounted with sturdy strap hinges. The doors open at an angle of 170°. Every locker features louvers in the rear panel and a wall spacer of 20 mm with an absolute body depth of approx. 480 mm.